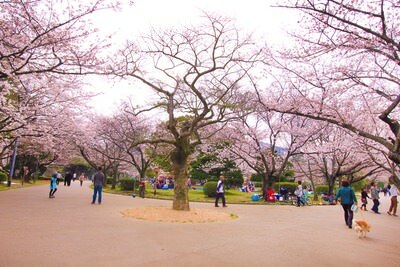 The land around the remains of Tokushima Castle has been developed into a park, complete with cherry blossoms that come into flower in spring. The Tokushima Castle Museum displays various historical objects and artwork associated with the Hachisuka Clan that ruled Tokushima in the past, and also a model of the former Tokushima Castle. The park is also marked by a large gate from the original castle, which is designated as a national asset by the government.